Shandong Engineering Machinery Co. Ltd manufactured SEM branded wheel loaders in China for over 50 years and became a wholly-owned subsidiary of Caterpillar in 2008. In 2014, the SEM Company transitioned to Caterpillar (Qingzhou) Ltd. and continues to produce SEM branded products. As one important strategic utility product brand of Caterpillar, SEM has its own brand proposition, distribution channels, marketing strategy and product support. In 2016, to further enhance the SEM brand, Caterpillar approved the endorsement “SEM - A Caterpillar Brand"
The SEM brand of compact, small and mid-sized wheel loaders, 18-ton to 22-ton soil compactors, mid-sized motor graders, and track type tractors are targeted at utility customers for Chinese domestic and select growth markets around the world. SEM products meet or exceed regional industry requirements for quality and reliability and target customers who emphasize initial acquisition cost over long-term total cost of ownership. In China, the machines are sold through a network of more than 70 SEM dealers, owned and operated by local entrepreneurs. In markets outside of China, the products are sold exclusively through a Cat dealer principal owned SEM channel that is separated from the Cat dealership with independent locations and identity. Key export markets for SEM machines include Africa, Asia Pacific, Latin America, CIS, India, and the Middle East. 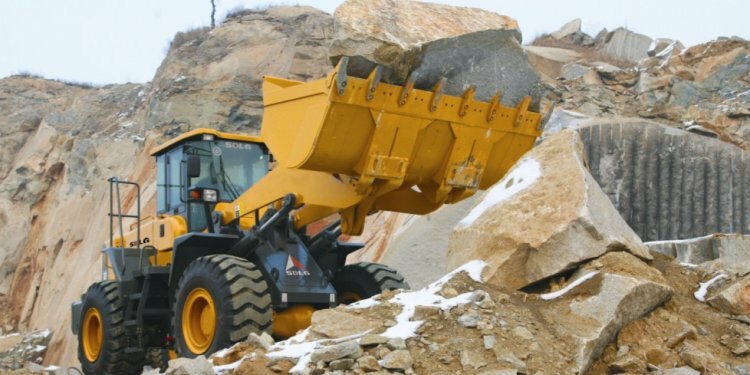 By leveraging Caterpillar product development processes and proven technology, Caterpillar (Qingzhou) Ltd. is providing quality ready-to-run SEM products offering initial affordability, high reliability, simplicity of use and maintenance, and responsive support to help customers build a strong foundation for future success.